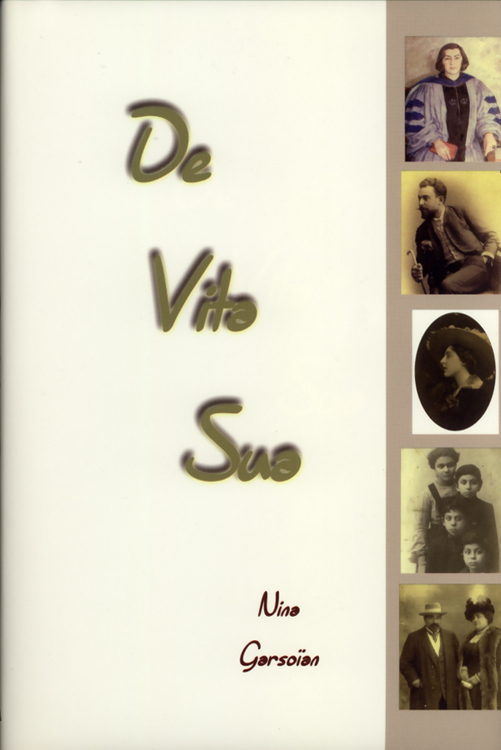 Dr. Nina Garsoïan's memoir De Vita Sua reaches beyond the revelation of a multifaceted life beginning in the Paris emigre world with memories of the vanished society of Imperial Russia and moving to the United States where she was transported as a child, coming to participate in the exciting cultural life of wartime New York with its vivid personalities of European refugees. It is also a story of transition and evolution in the academic world to which she turned after an accident made all thought of her intended musical career impossible. As the creator of the first Chair in pre-modern Armenian history at Columbia University, the first female Dean of the Graduate School at Princeton University and through her familiarity with Europe, the Soviet Union and the Orient gained from continuous travels as a scholar and trustee of the Ford Foundation, she witnessed both the changing position of university women and the transformation of Armenian studies away from a purely Eurocentric approach. In so doing, she spearheaded a more balanced interpretation of the ancient confrontation between the largely incompatible eastern and western societies. This autobiography is essential reading for anyone interested in the recent history of Armenian studies.